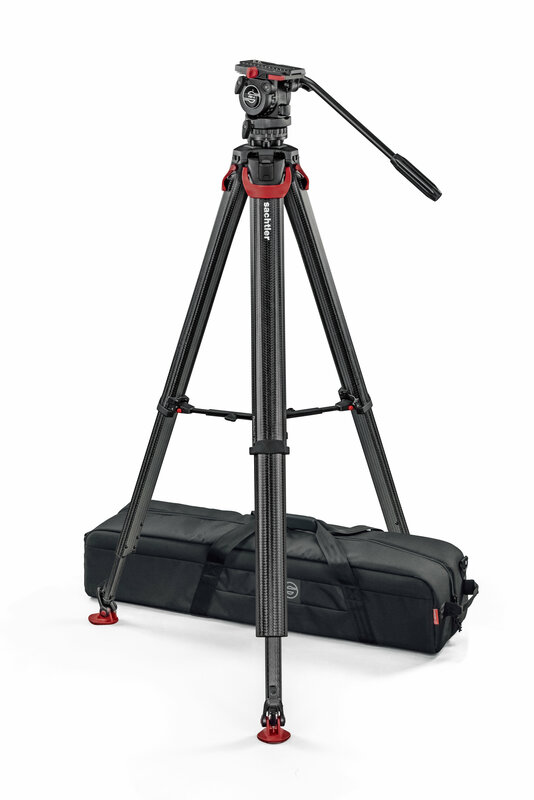 The Sachtler System FSB 4 Fluid Head With Flowtech™75 Carbon Fiber Tripod Legs Offer A Professional Tripod System For Videographers Who Use Cameras Weighing Up To 4 Kg / 8.8 Pounds. The FSB 4 Head Provides Frictionless Leak-Proof Fluid Drag With Three Levels Of Drag, For Perfect Pictures While Panning, Without Jerks And Vibrations. Identical Across Both Horizontal And Vertical Planes, And Allows Complete Disengagement Of Drag For Fast Panning. The System Includes A Mid-Level Spreader And Bag. FSB 4 Fluid Head (0307) + Tripod Flowtech 75 Ms With Mid-Level Spreader And Rubber Feet (4585) + Padded Bag Flowtech 75 (9116); Flowtech™75 Is A 2-Stage 75 mm Carbon Fibre Tripod With Unique Quick Release Brakes For Instant And Easy Deployment, Ergonomic Carbon Fibre Design With Strong Magnetic Legs Locks For Comfortable Transport, Exceptional Torsional Stiffness And A Versatile Hinge Lock Mechanism For Low And High Shots. Height Range In Spreaderless Mode: 41 - 169 cm (16.1 - 66.5 In); Height Range With Mid-Level Spreader: 78 - 173 cm (30.7 - 68.1 In).